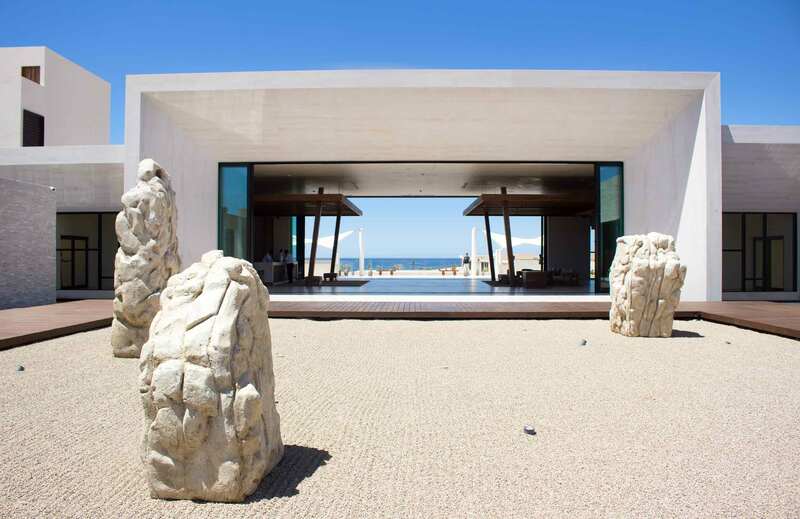 The magical Mexican resort region of Los Cabos is home to Nobu’s first hotel in Mexico. Sitting on the southernmost tip of the Baja Peninsula, Nobu Hotel Los Cabos has mesmerizing views of sparkling sapphire waters, stretching as far as the eye can see. The hotel offers 200 guest rooms and suites, ample meeting and event spaces, a luxurious spa, retail shopping, infinity pools, private cabanas, and a variety of bars and dining, including a Nobu restaurant on the beach. 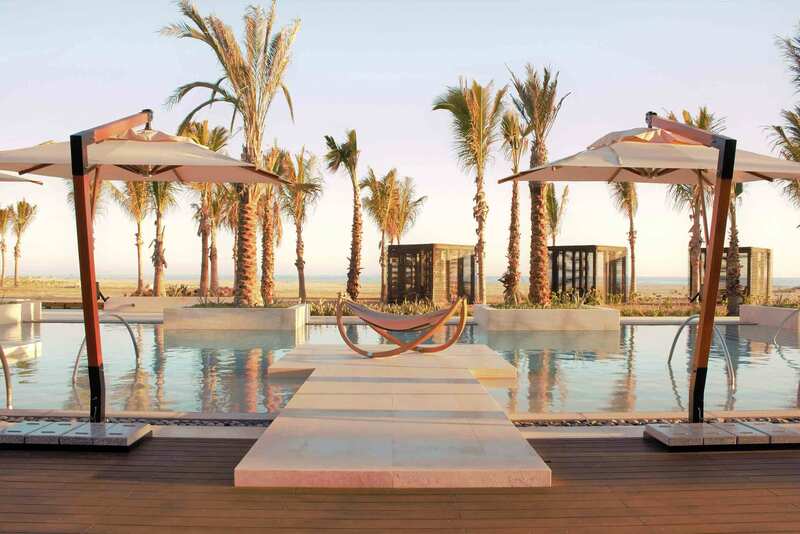 Stay at Nobu Hotel Los Cabos – a place to go and be seen. Envelope yourself in the lap of luxury during your stay at Nobu Hotel Los Cabos. Sumptuous rooms and suites echo both Nobu’s sophisticated Japanese aesthetic and Cabo’s laid-back style. Accommodations feature custom furniture pieces, wood-soaking tubs, shōji closet doors and Japanese-inspired lanterns. Please your palate with world-famous Nobu cuisine, with organic, farm-to-table goodness at Malibu Farm, with bites at the Beach Bar & Grill and Pool Bar & Grill, and with 24-hour in-room dining. Paired with breathtaking views, our abundant dining possibilities guarantee unforgettable culinary experiences. Enjoy your getaway at Nobu Hotel Los Cabos with our resort’s exclusive offers, specials and packages. Upon your arrival to Los Cabos International Airport, relax as your very own driver welcomes you and drives you to Nobu Hotel Los Cabos – at no additional cost! 14,389 square feet of meeting and event space, including two ballrooms, one boardroom, one pre-function space, one outdoor terrace, and two outdoor lawns. Enjoy new levels of luxury with exquisite seaside venues, personal wedding planning services, and amenities. Imagine a luxurious vacation in Los Cabos Mexico – the sea, sand, food. You can find all these experiences in Nobu Hotel Los Cabos. Take part of the Social Community – share, engage or simply view all the mentions and postings of global Nobu experiences and thoughts. Please your palate with world-famous Nobu cuisine at Nobu Los Cabos, with organic, farm-to-table goodness at Malibu Farm, with bites at the Beach Bar & Grill and Pool Bar & Grill, and with 24-hour in-room dining. ​Upon your arrival to Los Cabos International Airport, relax as your very own driver welcomes you and drives you to Nobu Hotel Los Cabos – at no additional cost!